In other words, a radiologist is the type of doctor you might visit if you have a disease or an injury that needs to be diagnosed. When seniors in Southern California sustain injuries as a result of nursing home abuse or neglect, they may see a radiologist. 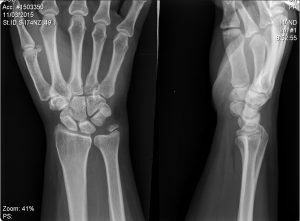 Even if a doctor in an emergency department does not properly diagnose the injury as likely stemming from abuse or neglect, a radiologist with proper training might be able to do so. As the article in Psych Central explains, for quite some time radiologists have been “highly trained to detect cases of potential child abuse” given the nature of their medicine, yet “very few have received either formal or informal instruction in detecting elder abuse.” By training radiologists to spot potential indications of nursing home abuse, seniors could be able to obtain treatment sooner, and facilities could be investigated if abuse is suspected (thereby preventing additional instances of nursing home abuse). This is the subject of a new study published in the American Journal of Roentgenology, which received support from the National Institute on Aging. Why would radiologists need specialized training to detect elder abuse if they are already well-trained in identifying potential indications of child abuse? In short, the bodies of older adults are different, and their injury patterns are different. In particular, since seniors often suffer accidental injuries that are not the result of abuse or neglect, it can be difficult to tell the difference. Moreover, seniors are in extremely varied states of health. As the researchers indicate, “one 81-year-old may be running marathons while another is bed-bound in a nursing home.” As such, age cannot indicate health patterns. If you have questions or concerns about physical elder abuse, a Rancho Bernardo nursing home abuse lawyer can assist you. Contact the Walton Law Firm to learn more about how we can help.